The LoD 3rd Brake Light Mount attaches to your original light assembly and bolts directly to the rear door to provide you with a plug and play type design. 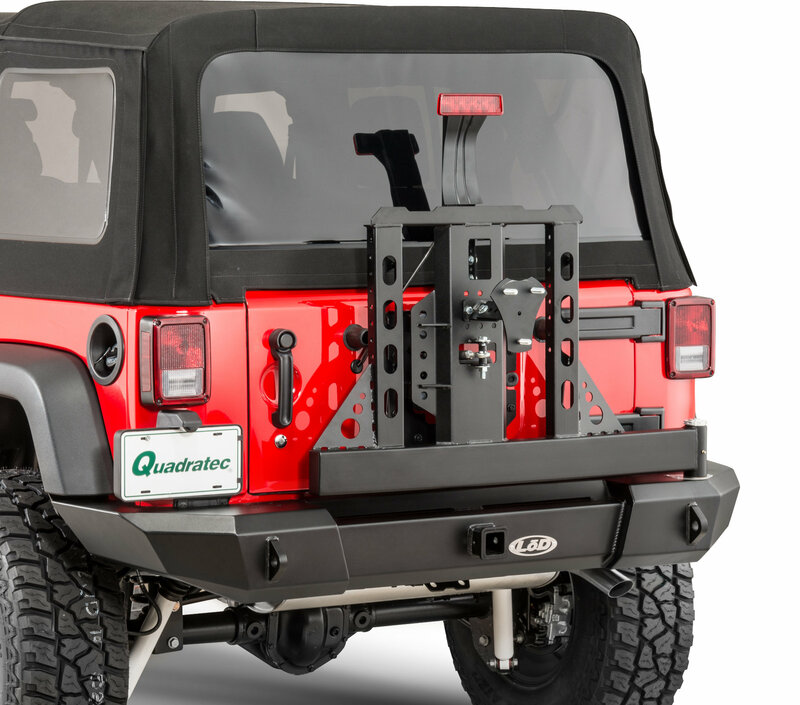 The mount is completely adjustable up down so it will work with many different sizes of spare tires. This mount is finished in texture black to match the existing finish of the factory light. What a disappointment. It is no higher than the stock mount and doesn't match the instructions found on their page. On their instruction page they have a nice bracket, that, if I had that, would probably totally work. What I got instead were two simple strap pieces. I could totally not use it with the 35 tire. This is my first LoD product that disappoints. It looks like the Rugged Ridge version is the way to go.